Philadelphia, Pennsylvania. A historic town with an Ivy League vibe. But it’s not all libraries and Liberty Bells. After all, Philly is the namesake of one of America’s most famous sandwiches. Book a Philadelphia bus rental for your next trip through the City of Brotherly Love. Take an out-of-town adventure to Amish country in a coach bus, or plan a college tour with a Philadelphia school bus. 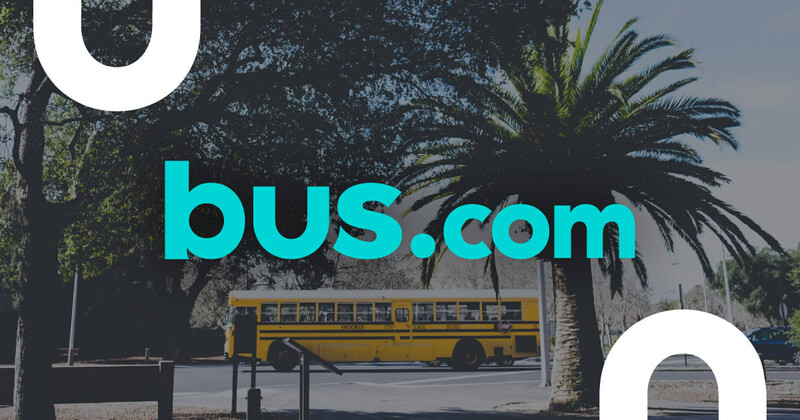 Bus.com can help you plan the perfect itinerary. Our booking specialists are friendly and knowledgeable – total keeners. Contact them at any point of your trip planning process. We’re here to help make chartering a bus as easy as possible. 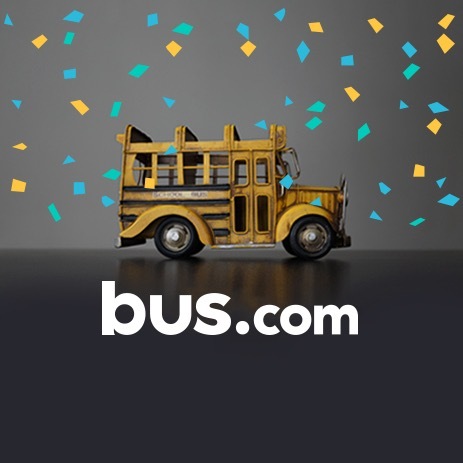 Bus.com is a marketplace for charter buses connecting event organizers and bus suppliers. We help you set up transportation to and from any type of events by partnering with reliable and vetted bus companies across North America. What determines the price of a Philadelphia charter bus rental? 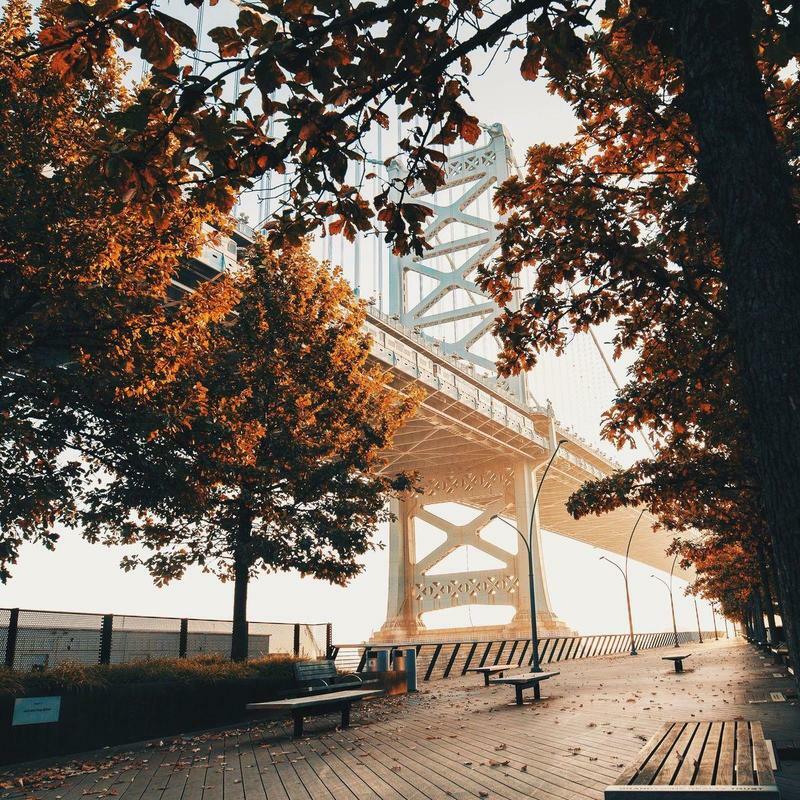 To calculate charter bus prices in Philadelphia, we take into account how far you're traveling, when you're traveling, the driver’s time on duty, the time of year, and the availability of buses in Philadelphia. We are also able to obtain the best prices on the market thanks to the relationships we have with our bus partners. Where do you get your Philadelphia buses from? With a network of bus partners that spans across North America, our team makes sure to vet each local bus company, so you receive exceptional charter bus service in Philadelphia at competitive price points. How do I rent a bus in Philadelphia with a driver? We take care of your entire bus booking, and that includes making sure each charter bus rental in Philadelphia comes with its own driver. Driver's gratuity and hotel accommodations are both considered in our charter bus quotes. What kind of bus rentals can I book in Philadelphia? Based on the length of your trip and the amenities you might need, you can choose between a school bus rental, coach bus rental, minibus rental, or mini coach bus rental in Philadelphia. How soon do I have to book my charter bus rental in Philadelphia? Prices tend to increase the closer you are to your trip date. It is more advantageous to book your bus rental earlier rather than later as it would allow you to secure lower costs. With our Book Now, Pay Later policy, you can make a bus reservation, but only have to pay for it 21 days before your trip runs. Getting to Philadelphia from nearby cities. We run many bus trips to Philadelphia from cities near and far! Here are some starting hourly rates for coach bus rentals and school bus rentals for each trip. For a more accurate pricing for your bus rental in Philadelphia, you can charter a bus through our instant quoting tool. How do I rent a bus? Enter your departure and destination city, and any stops you may need along the way. We work with thousands of bus suppliers to get you the best prices. Book your bus instantly, or secure your rental now and pay later. Bus.com will provide easy and reliable transportation for your company and all your corporate events with a charter bus in Philadelphia. From school bus rentals to coach bus rentals, we’ll make sure you find a vehicle fit for all your corporate transportation needs. A solid corporate culture is a vital element to a thriving company – and fostering an environment where your employees can learn, grow, and build strong relationships is key. Through team-building activities such as offsite meeting, corporate retreats, and group trips to conferences and workshops, you can help make that happen. With a charter bus in Philadelphia, Bus.com will help you move your team to where you need to be. Whether it’s a school bus rental or a coach bus rental, we’ll make sure you charter the right vehicle for all your corporate transportation needs. Make the most out of your bus ride to your next team outing in order to get to know your co-workers a bit more. Embark on a corporate scavenger hunt at Watson Adventures or bring out your competitive side with a go-kart race around the tracks at Speed Raceway. Wherever you decide to host your next corporate retreat, we’ll help you get set up with a lofty coach bus rental for comfortable travels, or a more cost-friendly school bus rental fit for your budget. When your team risks finding themselves in a slump, take them out of their usual office environment for a boost in productivity with an off-site meeting. Keep that creative juice flowing and don’t miss a beat while en route to your destination. With a fully-equipped coach bus rental, it’ll be as if you had your own workspace space on-the-go with possibility of having WiFi, power outlets, and comfortable reclining chairs on board. Arrive safely and right on time to your conference at the Pennsylvania Convention Center or Chubb Hotel & Conference Center with a bus rental in Philadelphia with professional drivers. You can also choose to remain comfortable and connected by requesting WiFi on your coach bus. Are you landing in Philadelphia International Airport? Book a charter bus rental and let our team of logistics experts help you plan out customized routes that best fit your travel needs, whether that’s to drive your team from the airport directly to the hotel, or to include a few stops on your way there. Bus.com will provide easy and reliable transportation for your sports team and all your sporting events with a charter bus in Philadelphia. From coach bus rentals to school bus rentals, we’ll make sure you find the right vehicle for all your sports team’s transportation needs. There’s no better feeling than celebrating all the time and energy you’ve put into your sports team by bringing home the championship cup. Starting from your arduous practices to all the hard-earned winning games along the way, we’ll help you move your team to every single one of these events with a charter bus in Philadelphia. Whether you need a coach bus rental or a school bus rental, we’ll make sure you rent the perfect vehicle for all your sports team’s transportation needs. Competing against a rival team is already hard enough – but when it’s an away game, it gets even tougher. Take some of the stress off your team by letting us take care of your game day transportation. Whether it’s a school bus rental in Philadelphia for nearby matches, or a coach bus rental for more long-haul trip, we’ll make sure your athletes have a safe and easy way to travel to their next tournament. Make prep time a priority for your team by helping everyone travel safely and on time to practices whether they’re held at the Franklin Field or The Palestra. Our team of bus experts will help you organize the most convenient charter bus rental in order to pick everybody up at one location, or make various pit stops along the way. Touching down at Philadelphia International Airport? With a charter bus rental in Philadelphia, find your way easily back to your hotel with plenty of space for your luggage, sports equipment, and all your teammates. With their logistics knowledge, our bus specialists will help you set up an efficient itinerary from the airport to your hotel! Cheer on the Philadelphia Eagles on the football field at the Lincoln Financial Field or support the Philadelphia Flyers in the rink at the Wells Fargo Center Philadelphia with all your friends and fan gear. Wherever your favorite team plays next, we’ll make sure you and your crew have a safe and easy way to get to the game on time. Rent a bus in Philadelphia to avoid hefty parking fees and outsmart game time city traffic. Bus.com will provide easy and reliable transportation for your Special Day and all your wedding-related events with a charter bus in Philadelphia. From wedding party bus rentals to minibus rental, we’ll make sure you find the right vehicle for all your transportation needs. Getting started with your wedding to-do list is exciting – but when tasks start piling up, it can become daunting. From finding the perfect venue and dressing your guestlist to putting the finishing touches on floral arrangements and organizing transportation, there is a lot to consider. Take some pressure off your shoulders by leaving your charter bus rental for your wedding in Philadelphia to us. Whether you need to rent a coach bus or party bus, we’ll make sure you find the right vehicle for all your wedding needs. A crucial component of your big event, your wedding bus transportation should be just as amazing and thought out as every other part of your wedding. Whether you need a minibus rental for a pre-wedding photoshoot with your bridal party at Fairmount Park or a luxury coach bus rental in Philadelphia to arrive in style at your ceremony, we’ll find the perfect transportation solutions for all your trips needs. Your wedding is a special occasion for gathering all your closest loved ones to celebrate. A part of your guestlist might be from Philadelphia, but you may also have friends and family flying into Philadelphia International Airport from other parts of the world. Set up a charter bus rental to help your guests easily make their way from the airport to the hotel, or organize a shuttle service to drive everybody straight to your wedding venue. Whether your reception is held at Ballroom at the Ben or Talamore Country Club, our logistics experts will help you plan the most convenient routes to accommodate your guests. Good times are guaranteed when you’re hosting a pre-wedding weekend in Philadelphia for the soon-to-be married in your life. Whether you’re sipping on whiskey with the perfect cigar pairing at Ashton Cigar Bar or sampling reserve bottles at Chaddsford Winery, the city is filled with surefire activities that’ll make your weekend one for the books. Charter a bus in Philadelphia for you and your group and make sure every spot on your celebratory itinerary gets the arrival it deserves. Round up your bridal squad and treat yourself to a well-deserved pampering session at The Rittenhouse Spa & Club, and then head off to an intimate gathering with your closest friends to indulge in some local cuisine at Talula’s Garden. Easily hop from one destination to another with a minibus rental for you and your crew. With their logistics expertise, our bus specialists will make sure you plan out the most convenient itinerary for your festivities! Throw the engagement party of a lifetime to share your good news and celebrate with your fiancé, family, and friends by your side. Whether it’ll be an elegant evening at the historic Stotesbury Mansion or a nautical night sailing the seas onboard the Spirit of Philadelphia, make sure your guests have an easy way to get to your grand event. Rent a bus in Philadelphia to avoid hefty parking fees and the pitfalls of traffic jams. When you book with us, you can choose from a variety of vehicle options in your area, curated by availability, budget, and amenities. *Starting hourly rates may vary based on geography. Minimum times may apply. Large organizations, small businesses, and people just like you love booking buses with us. We worked with Bus.com last year as part of a holistic approach for ticket holders that were looking for transportation options. Thousands of ticket holders were able to attend our inaugural Wayhome Music and Arts at Burl’s Creek Event Grounds. It was so popular that we expanded this offering to Boots & Hearts ticket holders. Bus.com was very responsive to our event's lead organizer as well as our participants. Our partnership with Bus.com required minimal work on our end, a welcome change from the magnitude of work it takes to coordinate a large event. Any problems were dealt with quickly and professionally. The Bus.com team was great to work with. They were extremely accommodating and solution focused. I would highly recommend using Bus.com to coordinate transportation around large events. I used Bus.com for our biggest event of the year. They organized transportation for over 2,000 students, and made sure everyone got around safely. Definitely using Bus.com again! Making that process easier was such a relief for me. I couldn’t believe it took two minutes for me to make a reservation, and get payment done for the school bus trip. The school bus was there early, the driver was really good, and it was such a painless experience relative to the alternatives that I was used to.